Don’t get too excited. We are not quite ready yet…. but when we are, we’re prepared at least. 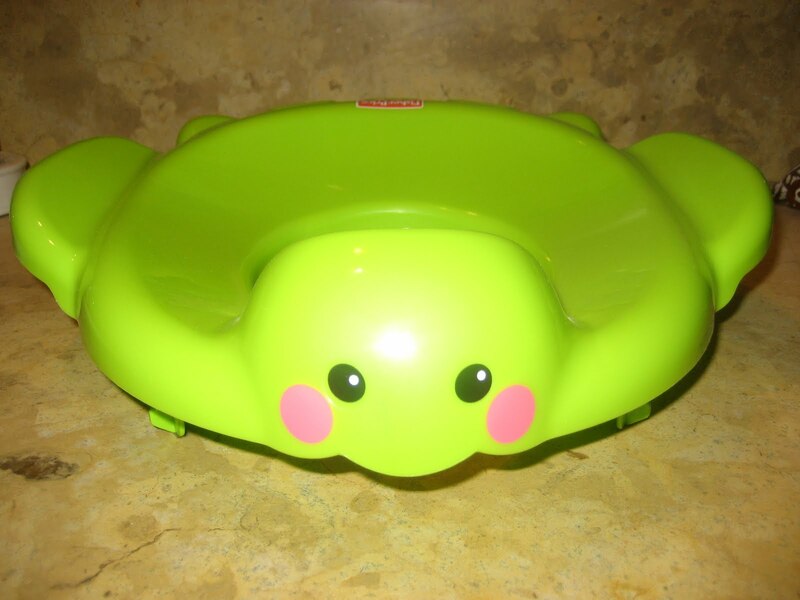 How cute is this potty seat, anyway? 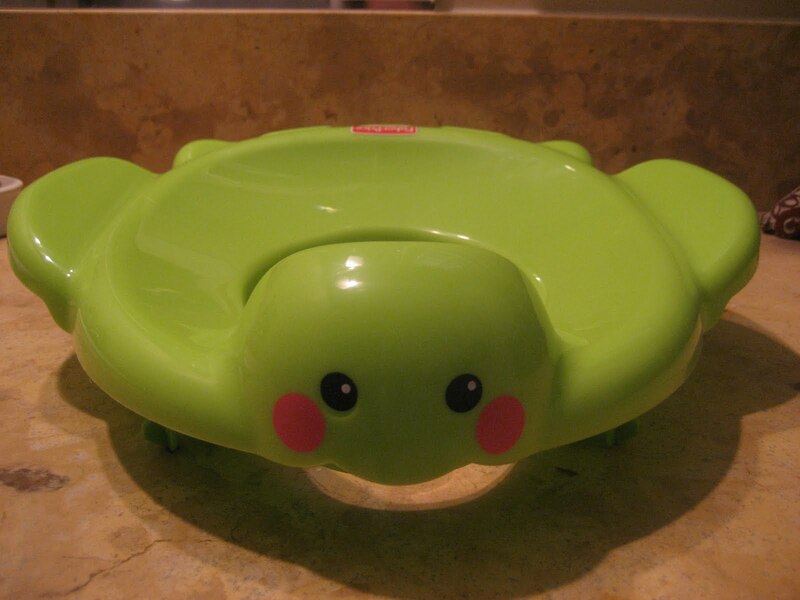 I mean, if you have to have a potty seat, it might as well be a turtle, right? 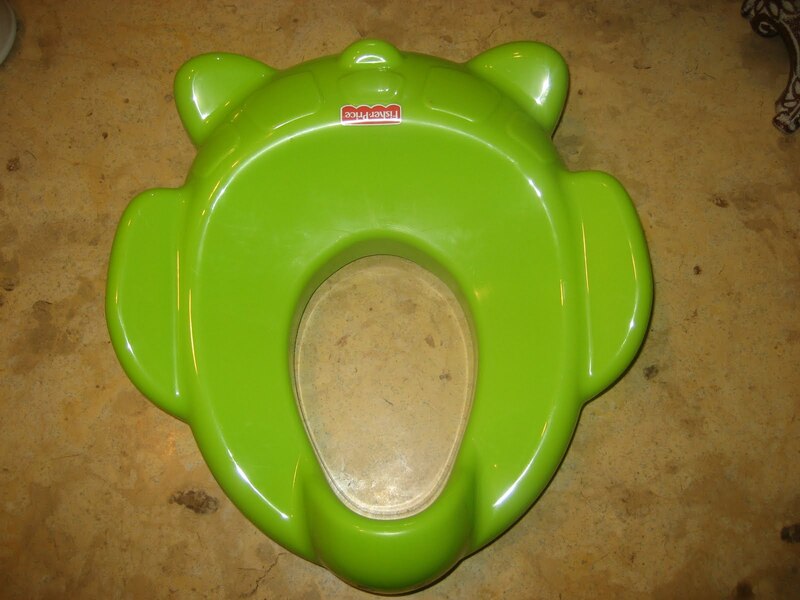 We are not mini potty chair people… I find the thought of cleaning them disgusting. Cleaning the toilet in N&E’s room is bad enough (boys = gross! ), let’s not add more misery to the mix. We have two of these for now. One upstairs in the little’s bathroom, and one downstairs in the main bathroom. 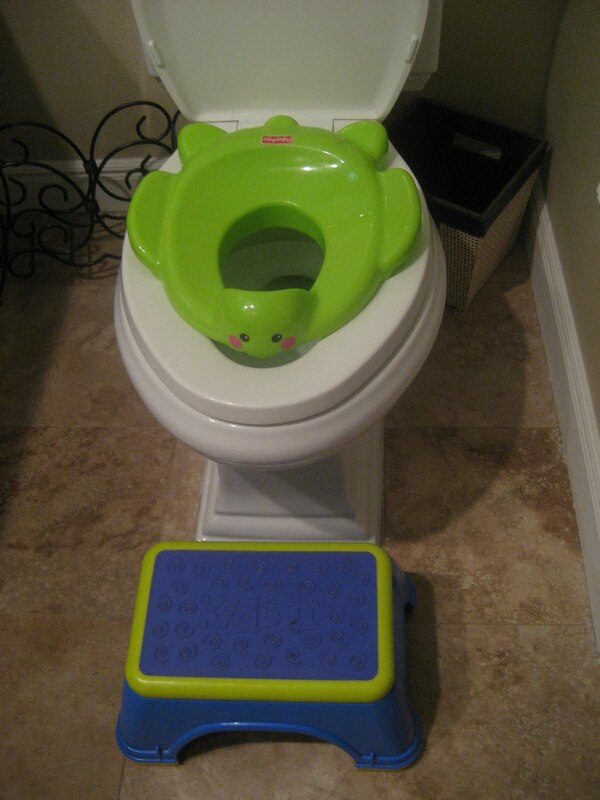 I am really quite nervous about this whole ‘potty training 3 toddlers’ thing. 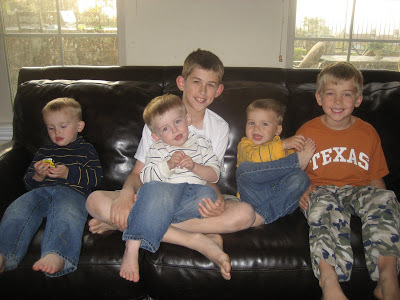 Sure, I have 2 older boys, but with them I had the luxury of preschool to help (do it for) me. They were both 3 before they were trained, and our trio is just 27 months now… I have some time, in my mind! We’re going to take it slow. I ask them at various time during the day if they want to sit on the potty. First thing in the morning and bath time seem to work best for us. Aidan is usually the first one to chime in “ME, ME!! !” He sits there for a few minutes, twirls the toilet paper roll, flushes, then he’s done. Luke & Liam will answer “Jes” (yes) about 1/2 the time when I ask. Nobody so far has had any success. Again, I’m not pushing them. They are just now starting to speak in words that I can understand, for goodness sake! We’ll see how it goes. I’m not rushing to Target to buy big boy underwear anytime soon, that’s for sure. I’m going to let them be babies as long as they want to be babies. Here’s hoping it’s still a good while longer! Good luck! We're on the same program. Just got a few pairs of "unders" and have been sitting on the potty every once and awhile. 2/3 are good "starters"…but little Ava SCREAMS when I sit her there. We're 32 months!!! I tried all three at once and it was hard. 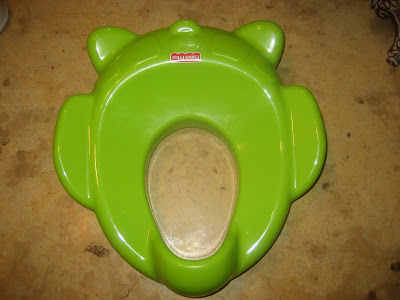 Potty training boot camp and we did not leave the house for 2 weeks. Then I gave in, obviously they weren't ready. A couple weeks later, I tried with the one who seemed the most ready and the other two fell into place (thanks to sibling rivalry). 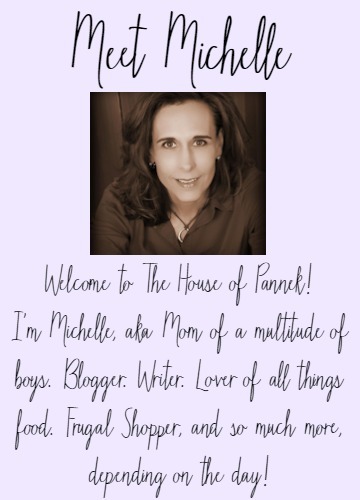 Hey Michele, I went to click on one of the blogs on the side and was right clicking to open in new tab. It says function has been disabled and then I noticed you have it so no one can copy your photos. Can you tell me how to do that on my blog? Thanks! Good Luck! We are getting ready to start here too!